Compare our daily, weekly and monthly rates with other parks in the Rio Grande Valley, and you'll see for yourself that we offer the finest, most-competitive RV Resort experience you'll find. Canyon Lake RV Resort also requires lower deposits, and has lower electric rates than most other parks in the area. Come stay with us for a great time and a great deal! 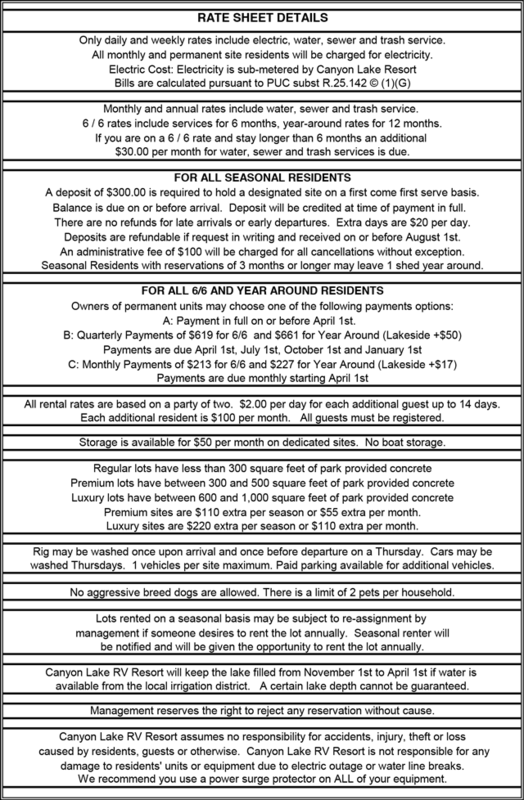 See Additional Notes in the Rate Sheet Details below. For first time visitors only and valid for the 2018-2019 season. Stay 3 months and get the 4th month FREE!